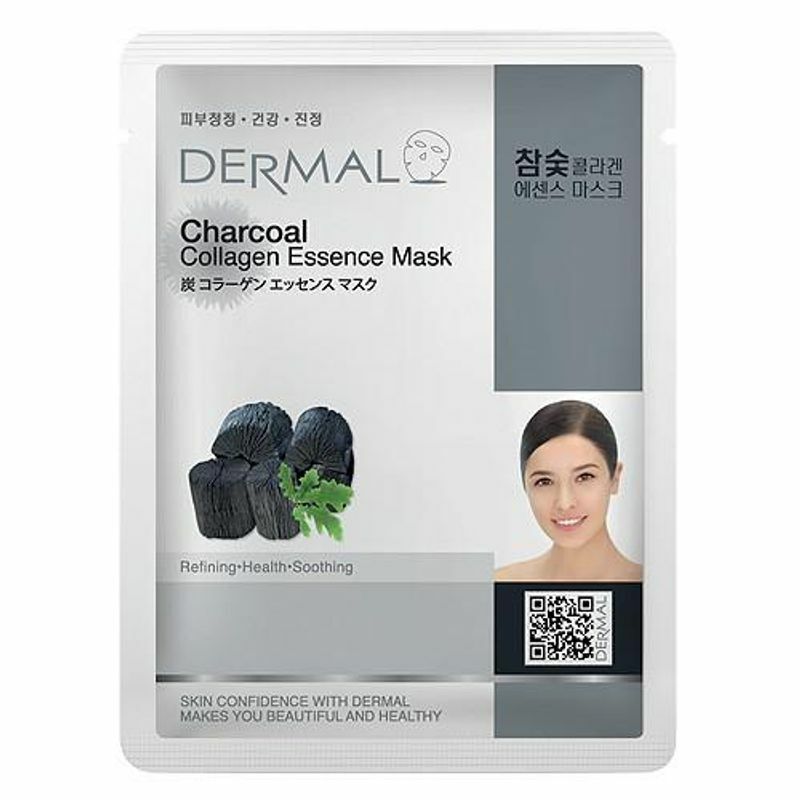 Dermal Charcoal Collagen Essence Mask contains Charcoal extract, Vitamin E and Collagen which is effective for cleanliness and protection of skin from harmful oxygen. It is also effective in protecting your skin from skin trouble, breakouts, uneven skin tone and keeps your skin elastic. The new essence mask contains Charcoal extract 1.0 % and Hydrolysed Collagen 0.2 % and is specially formulated to penetrate highly concentrated active ingredients into the skin while keeping air out of the skin completely thus, it makes your tired skin moistened, clear and relieves your skin from stress.